Our front office is open every day from 8 am to 5 pm. 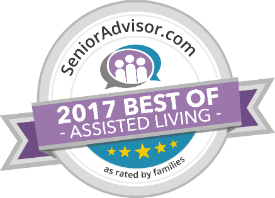 Senior residential living is a community designed for those 55 and over that desire a worry-free lifestyle and social engagement. Residents may reserve the activities lounge for any special event with notice. Contact the front office if you would like to reserve this space. Each residential apartment home has a full kitchen and kitchen appliances. DeSmet Retirement Community is a pet friendly community; we understand that pets are family too. Please inquire with our marketing office to find out more about our pet friendly apartments, associated fees, and our pet policy. If you would like a pet friendly apartment, please contact the leasing office for options. DeSmet retirement community has ample parking for residents and visitors. All parking spaces are available on a first come, first served basis. At DeSmet Retirement Community we have a beauty and barber shop. Please inquire about hours, services, fees, and appointments with the front desk. Each apartment is equipped with telephone hookups. If you would like telephone service we can help you set it up through the local phone company. Many residents enjoy the convenience of bringing their mobile phone. We offer access to cable television for all residents in their apartment homes. Apartment homes do not come with televisions. Please inquire with the marketing office or front desk about fees and for more information. We believe events and activities enrich our resident’s lives and have a powerful impact on one’s general well-being. We create a fun, uplifting environment where our residents can be social, get involved, and enjoy their favorite hobbies and activities. Our monthly event calendar is packed full of a variety of things to keep each resident entertained and engaged. Our residents are encouraged to invite friends and family to join them at our special events and activities. Click here to see our event calendar. For the safety and health of our residents and staff, DeSmet Retirement Community is a smoke-free community. We do, however, have designated smoking areas outdoors. Please inquire with the front desk for the location of designated smoking areas. At DeSmet Retirement Community we have a full-time business office manager. Our business office manager will answer any questions you may have regarding financial or billing concerns. To make an appointment with our business office manager, please contact the front desk. 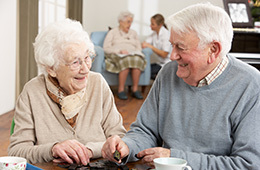 Assisted living is housing for those 55+ that provides assistance with activities of daily living. We offer housekeeping, laundry, and various other services to help each resident attain their highest level of independence. DeSmet Retirement Community is a pet friendly community and we welcome pet visits! While visiting our community we ask that each pet have their vaccinations and be kept on a leash and in the control of their owner when in public areas. We do not allow pets in any dining areas. At DeSmet Retirement Community we have a beauty and barber shop. Please see the front desk for hours, services, fees, and to schedule appointments. We offer access to basic cable television for all residents in their apartment homes. Apartments do not come with televisions. We provide three nutritious meals a day, and snacks, for our assisted living residents in a restaurant style atmosphere. Our chef works to create flavorful and nutritious food, and we also accommodate special dietary needs for residents with a physician’s order. All residents are provided with a monthly calendar to keep them informed of upcoming activities. Copies of this calendar can be obtained at the front desk. Click here to view our activity calendar.